Helping You Realize Your Home Improvment Dreams! Have your family’s needs changed so that your home is not quite meeting your current space requirements? Perhaps you need to add extra living/family space? Or maybe you are looking to enlarge your kitchen or add on a master suite? Sometimes you really like your location and the house you are in, you just need a little more room. A room addition may just be the thing for you! Have you recently purchased a new home? Or do you love the home you’ve lived in for years, but it needs a little updating? (Or maybe a lot of updating!?) 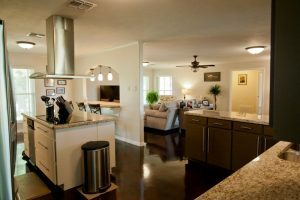 Are you looking to reconfigure things like walls and cabinets to achieve a more open floor plan? Or to be more efficient with your space? Maybe you want a fresh paint job in the entire house! Perhaps the exterior needs a little TLC or even a whole new look. Renovating an entire house can be a scary thing to think about but it is exciting and rewarding to be able to customize it to fit your family’s needs. There are endless possibilities when it comes to remodeling and it can be a bit overwhelming at times. We would love to visit with you about the vision you have for your home.